During the “stocking up my stash” directive last year I purchased MDC’s Hawker Typhoon. It’s a beautiful resin kit and I look forward to build one of my favorite WWII ground pounders in 1:32. As I studied the instructions I noticed the props (you get both a 3 and 4 bladed option) need some type of jig to align the angle or pitch of prop blades. I called MDC and they have no jig available. I was convinced this would be a challenge but doable. As I acquired additional after market props for my 190’s and 109’s I realized prop alignment is now a typical building requirement for these resin upgrades. 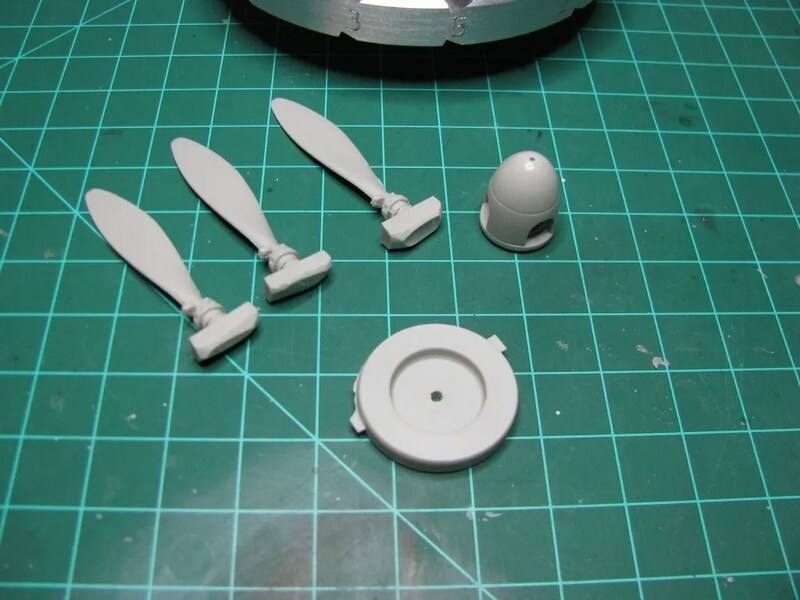 Further, most of my 1:32 kits require prop blades to be individually inserted/glued into the spinner. Again, I totally felt comfortable with my skill-sets, “yeah, I can do this.” However, deep down inside a little angst was brewing on making nice aligned props without a jig. I had actually sketched a design to make my own prop jig using balsa wood sheet and 1/8” wooden dows. 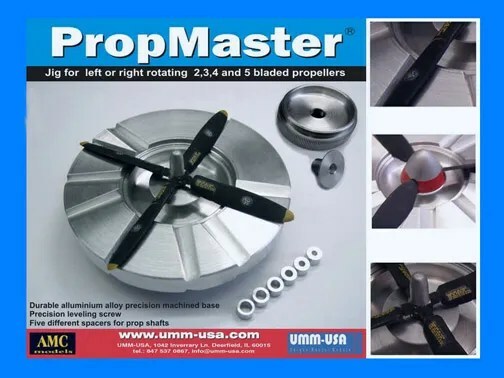 Enter the UMM (Unique Master Models) -USA PropMaster. While mining the UMM-USA site for lead wire I tripped over this prop alignment life line and it could not appeared at a better time. 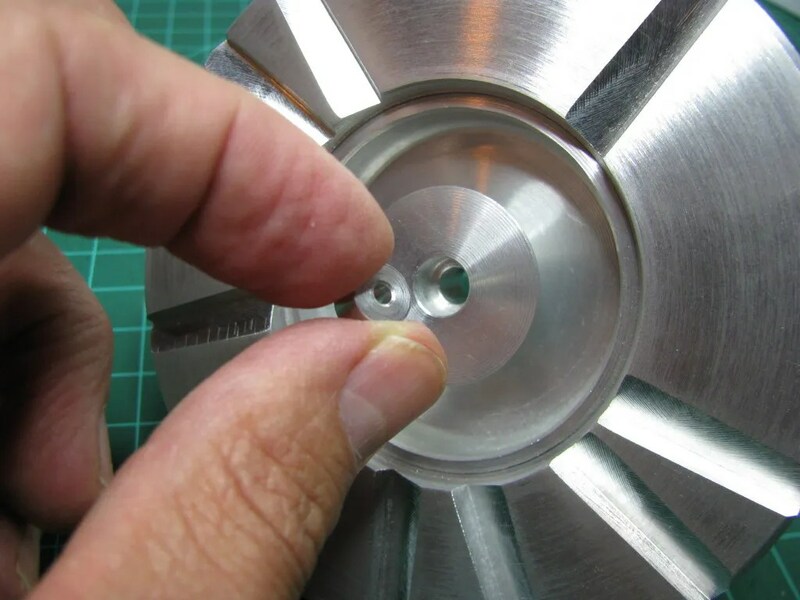 You can execute fine adjustments using the base screw to select the desired pitch of your prop blades either in a right or left rotation. 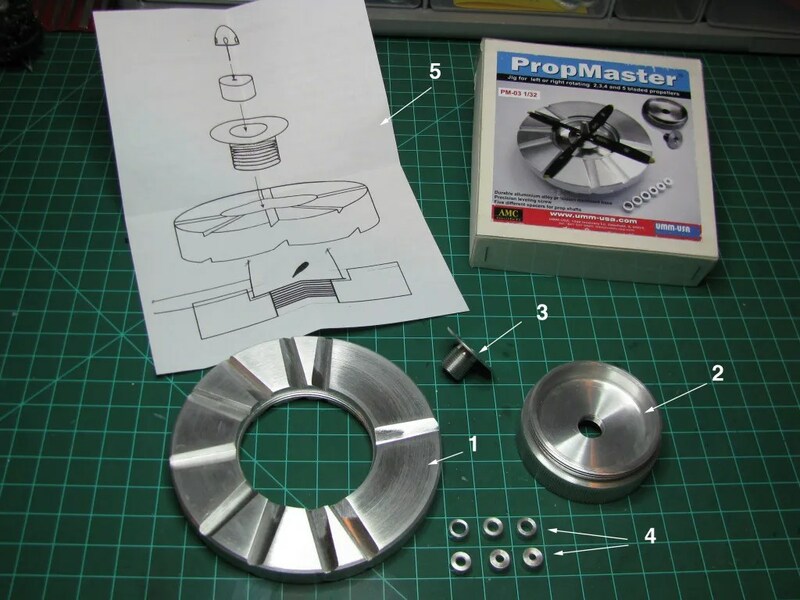 The PropMaster assembles in a matter of minutes and you are ready. Attaching the Leveling Screw Base to Base. Numbers on edge of base for 2 blade, 3 blade up to 5 blade. If left rotation is desired then flip over base. 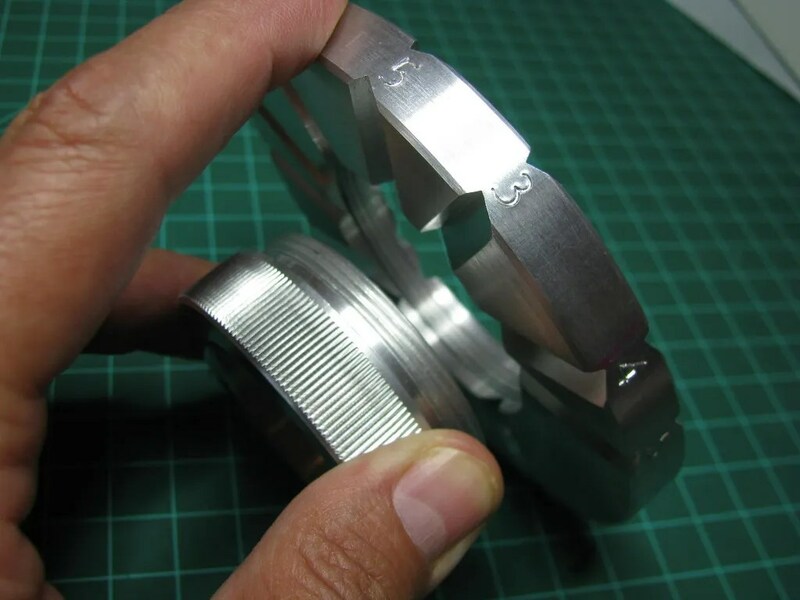 You will have micro adjustments on height of Leveling Screw. 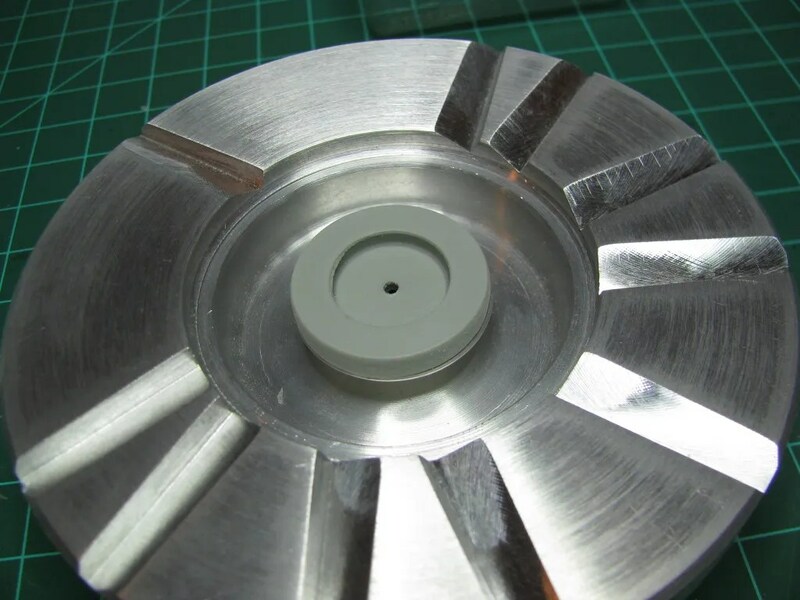 Insert Spacer for prop shaft. 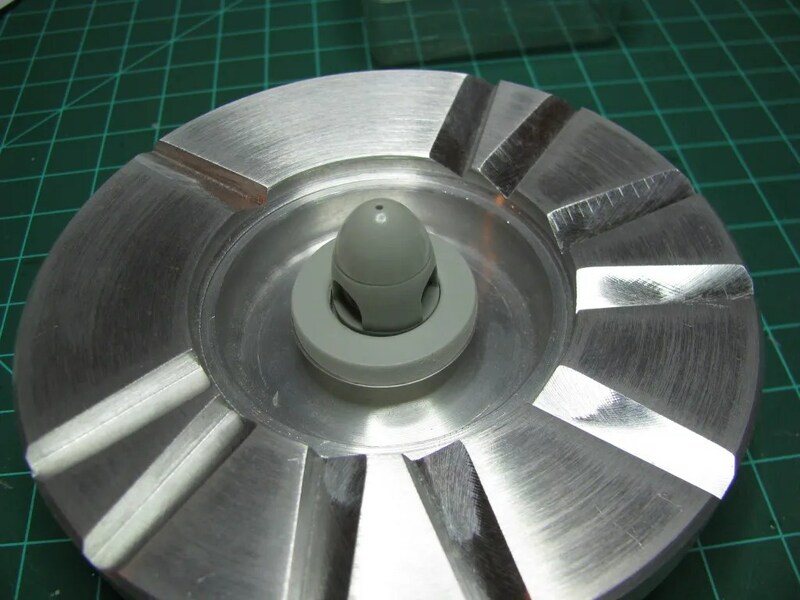 The spinner with prop shaft spacer in place is positioned on the Base, then the blades are aligned to desired pitch and level. 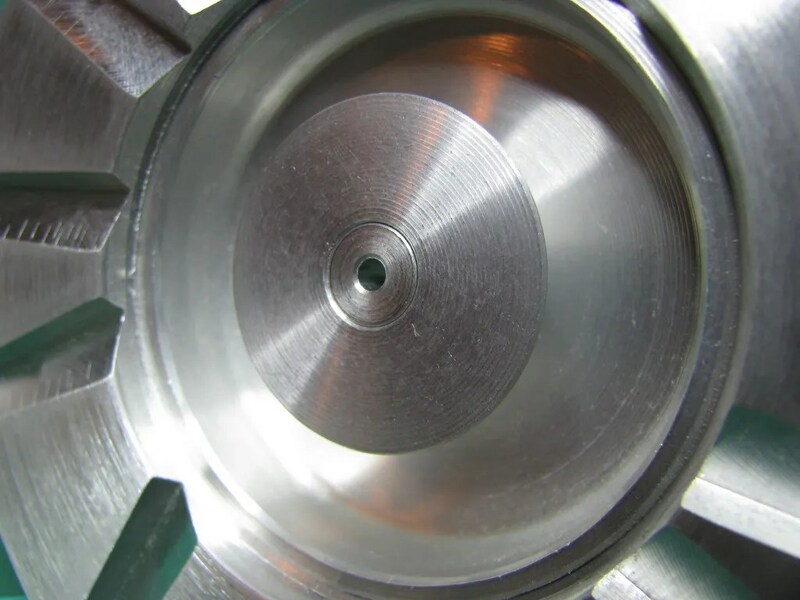 The fine adjustment feature on the Leveling Screw allows for precise setting. No Prop Shaft? No Problem. 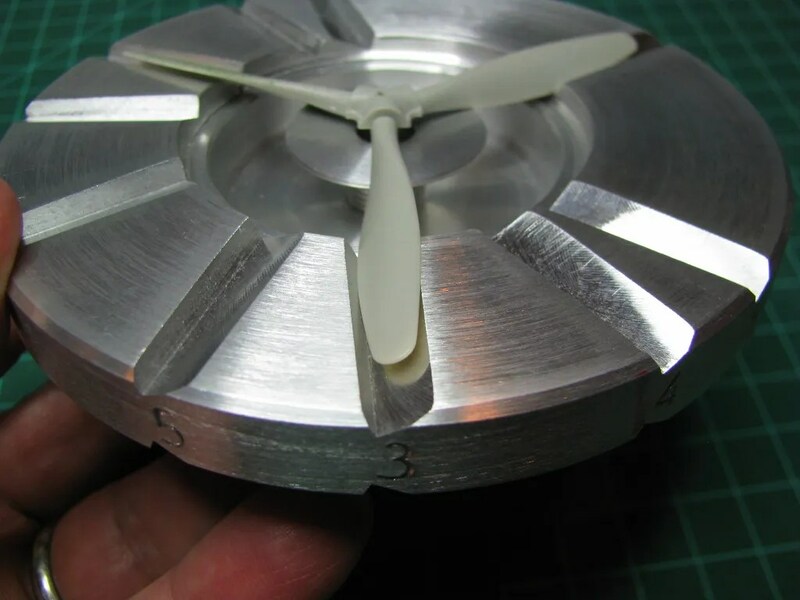 Eagle Parts’ Fw 190 spinner with blades offers no prop shaft. 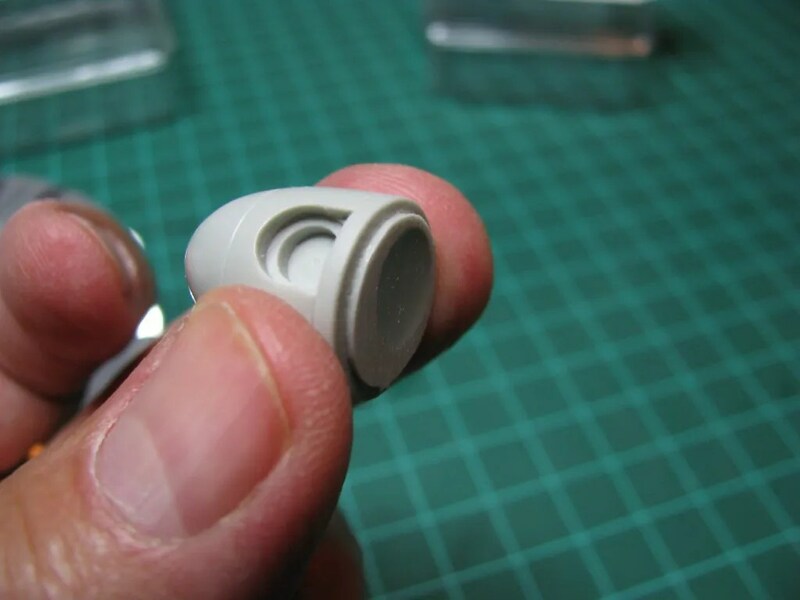 Casting has not been sanded down. 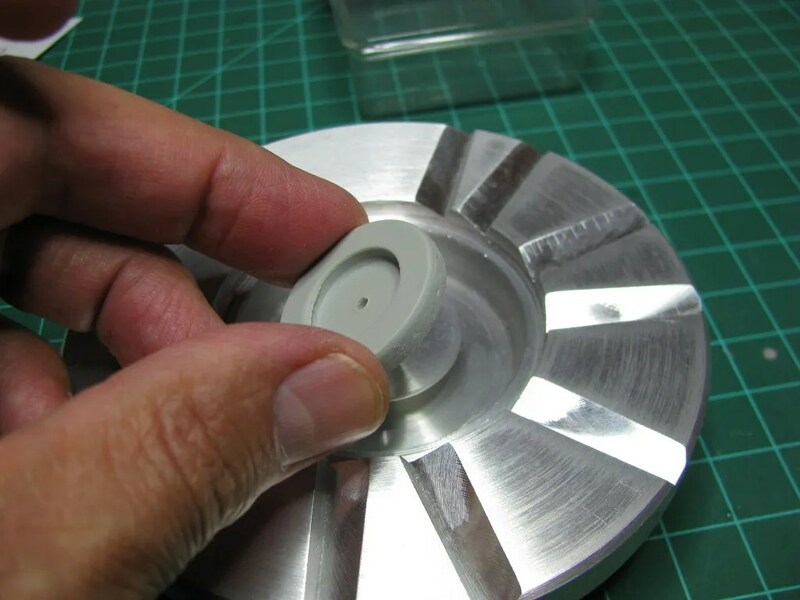 Eagle Parts supplies every prop spinner with this common jig for drilling hole in spinner to accept the kit (Hasegawa) propeller shaft. These jigs are very handy and can be used to hold spinner in position to align and glue prop blades. 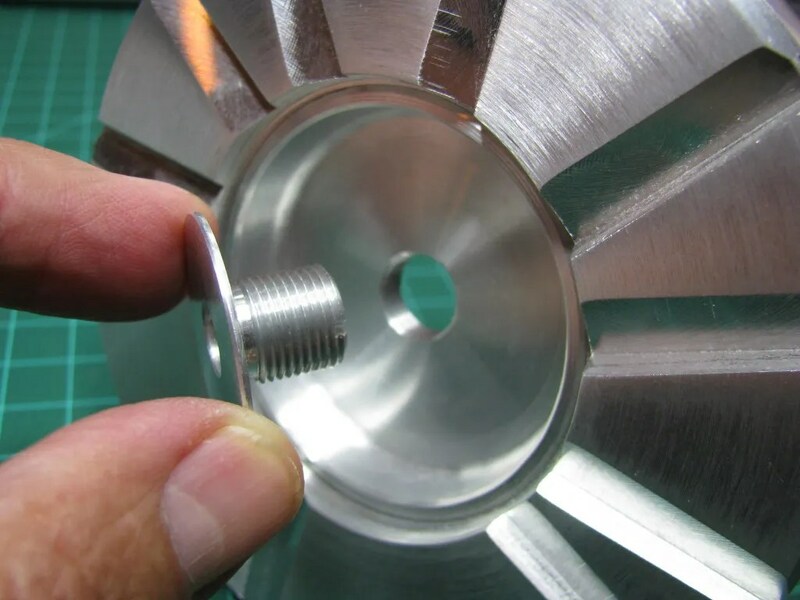 Using the supplied Eagle Part jig center the jig on the Leveling Screw. 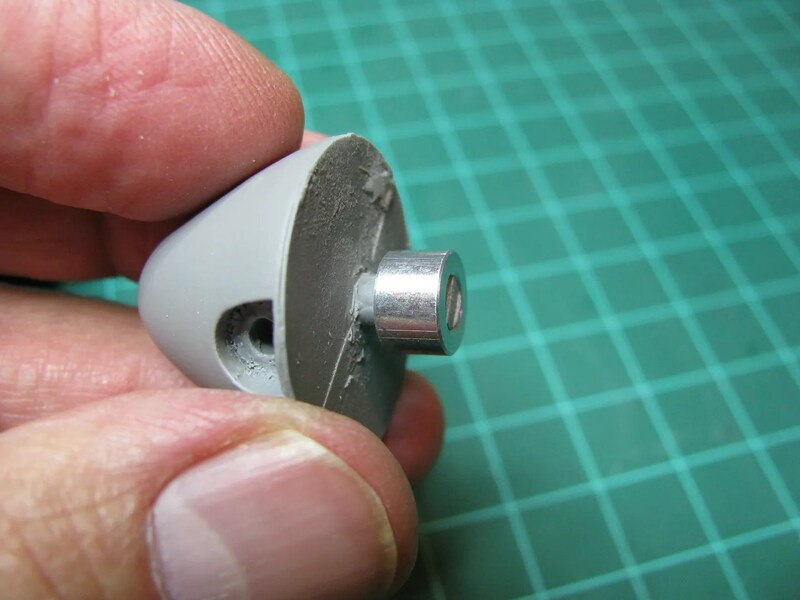 Just a drop of CA to hold in place, the circumference of the Eagle Part jig matches the Leveling Screw. 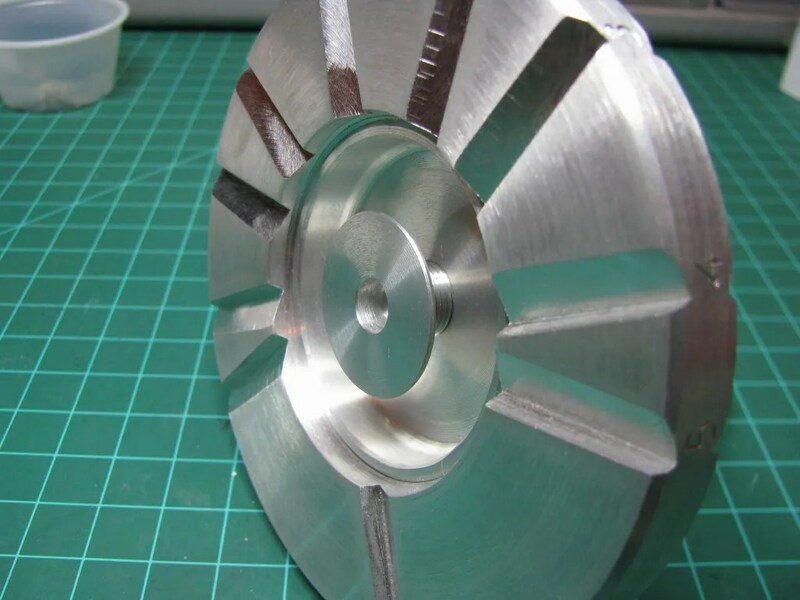 Spinner placed on jig then blades will be carefully aligned and glued. 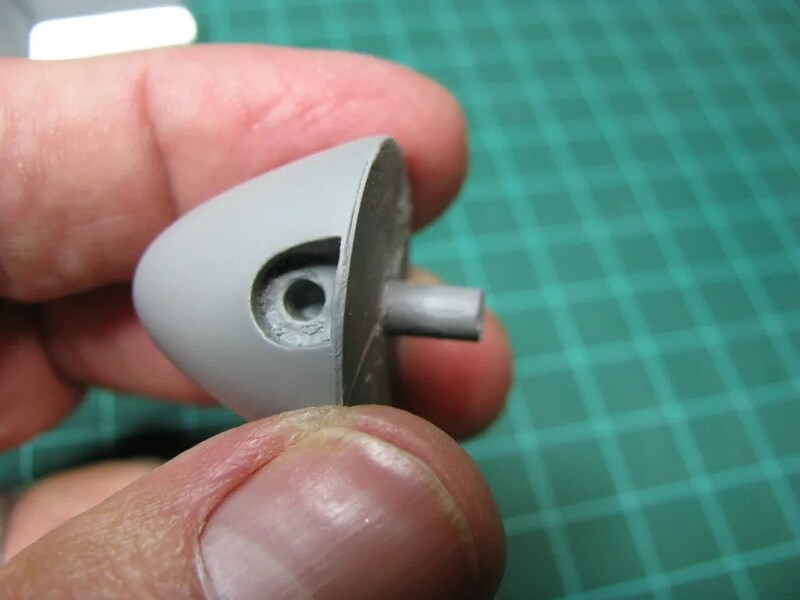 Use a slow CA or Gator Glue so you with have plenty of time to adjust before glue sets. I can certainly recommend this tool to assist with prop pitch alignment. 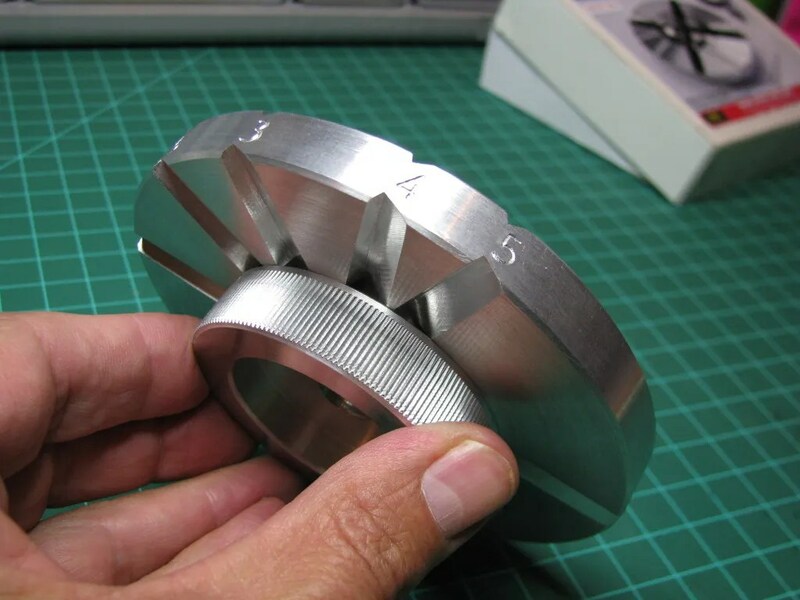 Engineering is outstanding and well machined. 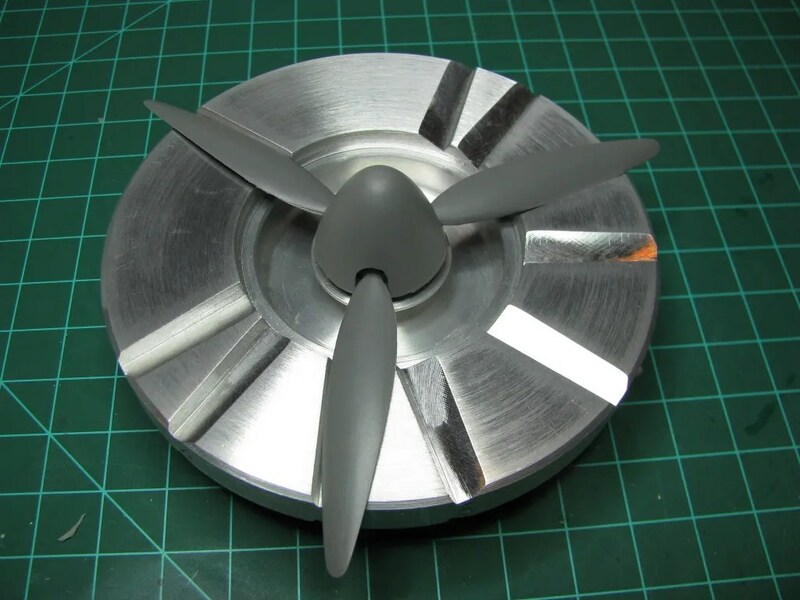 With the popularity of aftermarket options for props and prop spinners this tool is a helpful piece (perhaps a must have) of equipment for your bench. Previous Post What to take to ASMS ’12? Saw one of these at the Nationals. I almost bought one. Looks like I should have.